Posted on February 15, 2017 by Maddy Hopson / This entry was posted in Informative, Product Reviews and tagged e-cig, e-cigarette, kangertech, subvod, subvod kit, subvod mega tc kit, topbox mini, topbox nano, toptank. Bookmark the permalink. KangerTech is one of the most well-known electronic cigarette brands on the market, and for good reason. Starting in 2007, this China-based company quickly became popular in North America and Europe for its innovative designs and industry leading customer service and products. Every KangerTech upholds high standards of quality in terms of health regulations and international environmental standards, so you can rest easy knowing your e-cig experience is healthy for you and the world at large. Without further ado, let’s dive into the best-selling KangerTech products available at Sunflower Pipes that have given the brand its sterling reputation in the e-cig industry. The SUBVOD starter kit is the perfect purchase for first time e-cig users looking for something that’s reliable, easy to use, and portable. The kit comes with a 1300mAh / 50 watt battery and a TOPTANK Nano clearomizer to fill with your favorite essential oils or e-juice. Sticking with the ever-popular pen design, this vape is extremely easy to take on-the-go at only 5 inches in length. The kit also comes with other vaping essentials, including a Micro USB cable and user manual ideal for first-time users. 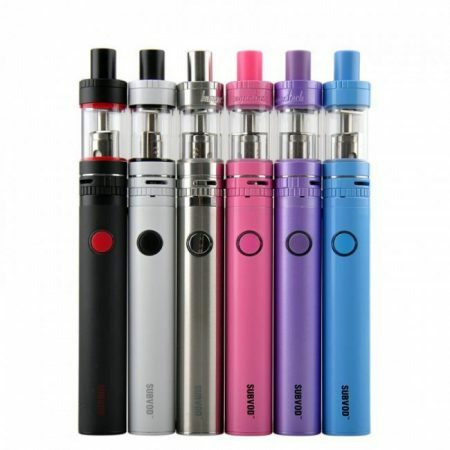 Its simple one button design — which will flash to indicate a low battery level — and tank that can be filled on the top or bottom makes this e-cig intuitive and easy to use. The TOPTANK Nano is a glass tank that can hold up to 3.2mL and comes with Stainless Steel Organic Cotton Coils (SSOCC) that will heat your liquids to vaporized perfection. The SUBVOD Mega TC Kit isn’t too different from its predecessor in design, but it comes with some incredible new advantages: a significantly longer battery life and a higher capacity tank that can hold up to 4.0mL of liquid. 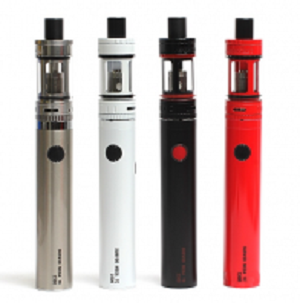 Both of these e-cig kits are designed with users in mind, with easy-to-use single button controls, top/bottom tank filling, and a simple two-part assembly. It’s the perfect purchase for new e-cig users looking to experience a healthier alternative to smoking that’s both powerful and simple. 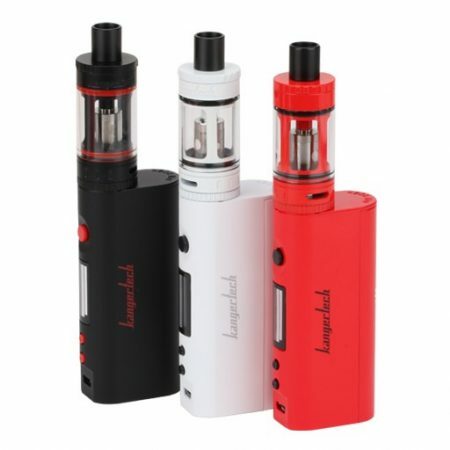 The Kangertech TopBox Nano and its smaller counterpart, the TopBox Mini, are e-cigarettes ideally meant for more experienced vape users. The TopBox Nano Starter Kit features a temperature control mod that requires a separately sold battery, a 3.2mL top-filling glass clearomizer, and a powerful 60-watt TopBox battery. The kit also comes with three different coil replacements made with SSOCC or Clapton coil materials. The TopBox is a more complex piece of equipment that allows for temperature customization and extremely powerful hits, but that doesn’t mean it isn’t still user-friendly. A micro USB can be plugged into the e-cig standing upright, plus/minus buttons indicate temperature changes, and a larger button is used to turn the device on and off (and flashes to indicate a low battery). 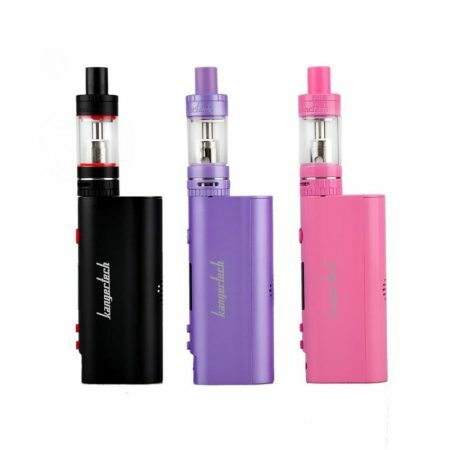 The rectangular shape of the battery with the attached atomizer is less portable than the aforementioned SUBVOD kits, but for on-the-go smokers, KangerTech has provided an adorable solution in the form of the TopBox Mini. The TopBox Mini is similar in a lot of ways to its Nano big brother, featuring a powerful battery and glass atomizer that can fit 4.0mL of e-juice. The biggest plus is, of course, the decreased price and the increased portability thanks to its smaller size. It’s still got the same temperature control, intuitive button design, and top-fill tank that users of the TopBox Nano have come to know and love — and the same color scheme as the SUBOX Mega TC kit, it would seem. More than anything, KangerTech is such a powerhouse in the e-cig world because of its dedication to listening to customers concerns and updating their products accordingly. KangerTech is constantly launching updated versions of their kits, mini companions that are cheaper and more portable, and creating inventive new technology to improve the overall vaping experience — and these four products are only the tip of the iceberg. Be sure to stay updated on new KangerTech products by periodically checking out the Sunflower Pipes website and social media accounts!